How do you handle bookings and what forms of payment do you accept? How far ahead of time must you be booked? Can a bagpiper be a surprise? What do you usually play at a performance? What do you normally do at a performance? 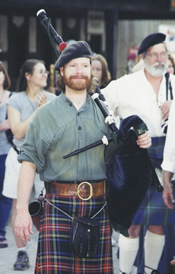 If you are already booked then what can I do about finding another bagpiper? 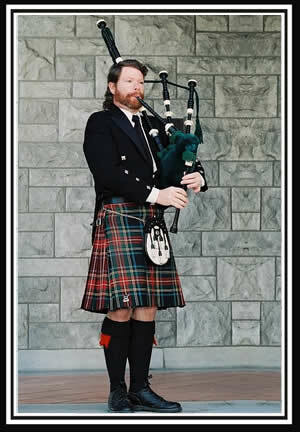 Do you give piping lessons? What tartan are you wearing? 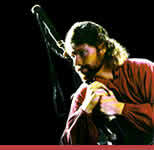 How does the bagpipe work? What do you wear under the kilt? Cost will depend on such things as requested playing time, event location, and whether my presence at a rehearsal is requested. For an exact quote, please give me a call or fill out my online booking form. For weddings I require a signed contract and a $50 non-refundable deposit with balance to be paid in full 10 days prior to the event. For funerals and other occasions I can be paid either when I arrive or after I have performed, whichever is most convenient for you. At this time I can only accept cash and checks. 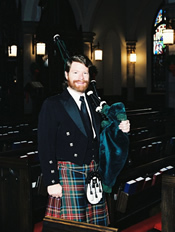 Since I am a full-time bagpiper, I can be hired on very short notice. Provided I don’t have another job lined up I can be booked up to the day before your event. 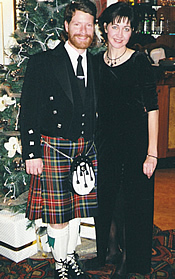 I’ll always wear a kilt unless specifically told not to. The only part of my uniform that changes is the type of shirt that I wear. For formal occasions like weddings and funerals I will wear a white shirt and black tie along with a black jacket. 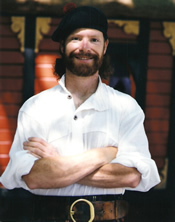 For casual occasions I will wear a renaissance-style shirt or a polo type shirt which is appropriate for the event. Yes, and that is requested quite often. If you would like me to be a surprise then I can be discreet and begin playing when called upon. Some of the most common tunes that I play can be found on my Music Samples page. I also take requests and will learn new music if necessary. 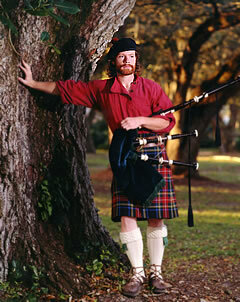 Please note that the bagpipe has only nine notes which limits what is capable of being played. Whatever you want me to do. Some examples of what I typically do can be found on the Weddings, Funerals, and Other Occasions pages. If I am already booked during the time you would need me then I can line up another piper for you. I only line up pipers who meet my high standards, which means you won’t have to worry about getting someone who isn’t competent on the instrument. Yes I do and please contact me for more information. It is the Black Stewart tartan. Blow, finger, and squeeze – all at the same time!